MADERA, CALIFORNIA (January 31, 2018) – The interest in the 2018 51FIFTY Energy Drink Jr. Late Model Series at Madera Speedway has hit a fever pitch, and track promoter Kenny Shepherd and championship team owner Mike Naake have answered with a unique testing program. The series for drivers ages 10-16 years old sees all nine races televised on MAVTV. Last year’s champion Jesse Love IV, then 12, rose to the occasion as a stock car racing rookie in the highly competitive division. Love has since moved to a brand-new car within the Naake-Klauer Motorsports stable this year, leaving his five-time winning #38 Toyota available. 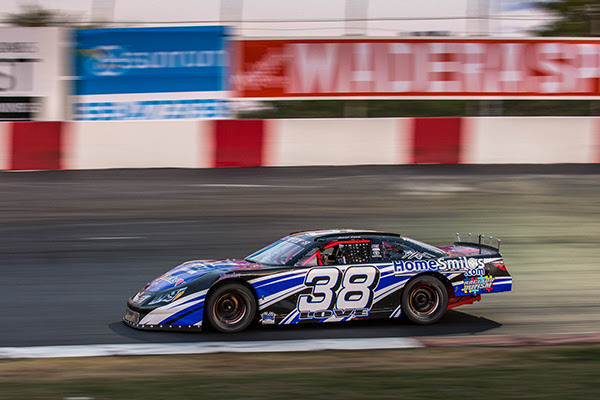 Naake will offer Love’s championship car for private testing available to new drivers that would like to dip their toes in the Jr. Late Model program. The tests will be one car and one driver only, allowing young drivers to get the full attention and coaching they need. The training and testing regimen will be tailored to each driver’s previous experience level, with the intent to build up their confidence in a flawless car. This unprecedented opportunity to test a championship car and experience Jr. Late Model racing should be very popular. It serves as a solid gateway to getting involved in the Jr. Late Model Series. 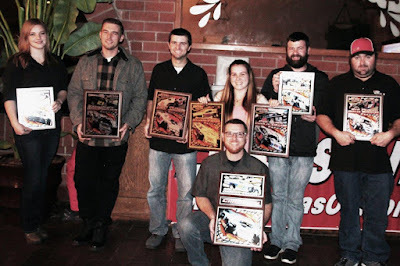 Previous competitors have come from such varied backgrounds at quarter-midgets, Off Road Trucks, Micro Sprints, pavement karts, Midgets, Legends, and Bandoleros. Few drivers have ever sat in a full-sized race car before they join the series. Graduates of the 51FIFTY Energy Drink Jr. Late Model Series are already planning programs that include NASCAR K&N Pro Series East & West, BCRA Midgets, and Super Late Models including the Winter Showdown. For more information on how to join the series and take part in the testing program, contact Mike Naake at (916) 771-0109. Madera Racing on MAVTV airs Thursdays re-runs of the 2016 & 2017 season every week. The show airs at 5 p.m. and 8 p.m. PST and is also available on the Lucas Oil Racing TV app.